After our ferry crossing from Baja we found ourselves in Mazatlán! 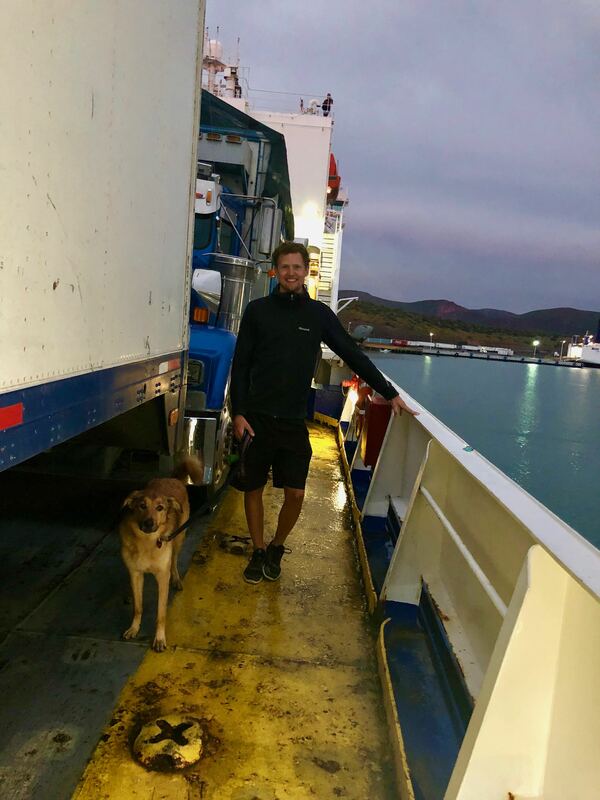 We used TMC Ferries (the commercial ferry) option versus Baja Ferries (caters to tourists) as they allow you to sleep in your vehicle and you can have your dog with you in the vehicle. They didn’t even mind us taking Roo for a little walk around the deck. Overall the ferry experience was uneventful, we showed up the day we wanted to leave and we were able to purchase a ticket on the spot. 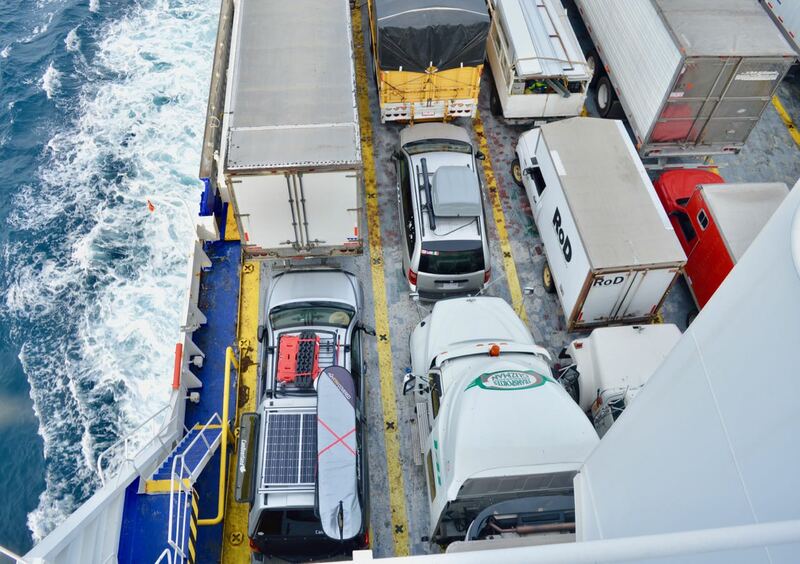 The only downside to our ferry experience was listening the commercial refrigerator trucks while trying to sleep – they are loud! Needless to say we were pretty exhausted after the 18 hour ferry ride. Roo and Mitchell walking on the ferry deck. Our first stop in Mazatlán was at a recreation park where we let Roo blow off some steam, ate tasty grapefruits, and tested some of the body weight gym equipment. Many of the parks in Mexico have outdoor gym equipment. We were initially planning on spending the night in the city of Mazatlán but after checking out our intended camping spot (a very busy parking lot in the center of town) and experiencing some of the big city traffic we decided to retreat to a different camp spot outside of the city. This decision led us to one of the most beautiful beaches we have experienced so far on this trip. 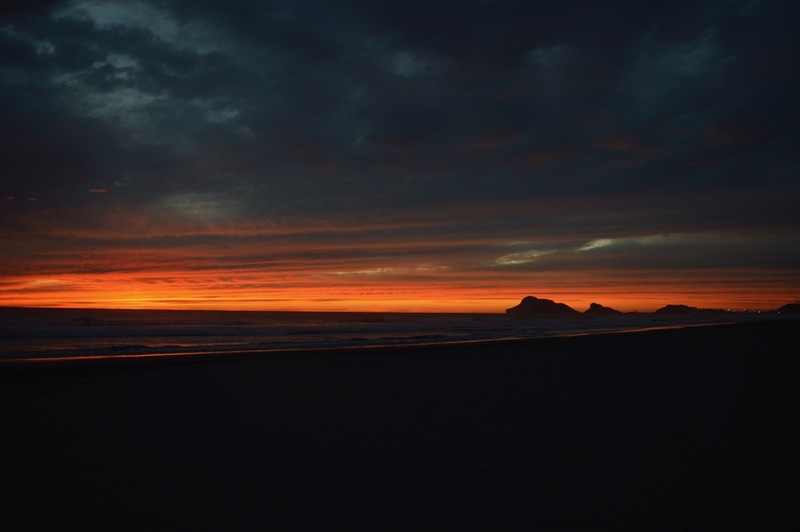 Just south of Mazatlan is a small beach town called Isla de Piedra and an extremely long beach that you can drive and camp on. This was one of our best beach driving experiences (4×4 definitely required) and we were all able to relax after the long ferry ride. We spent a quiet night aside from one interruption where a person came up to our truck at 9 pm. We are still unsure what they wanted as both Mitchell and Roo (the mighty guard dog) were already sleeping and Brenna just listened to them say hola a few times and then leave. 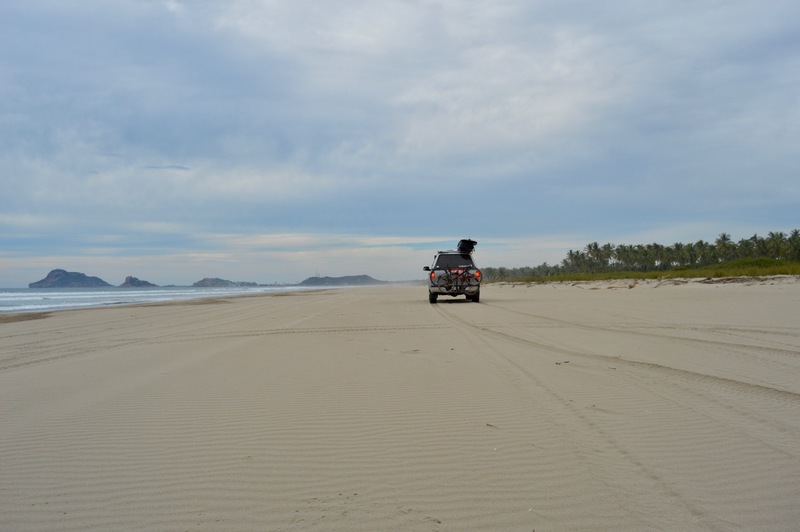 Driving on Isla de Piedra Beach. An amazing sunset at Isla de Piedra. 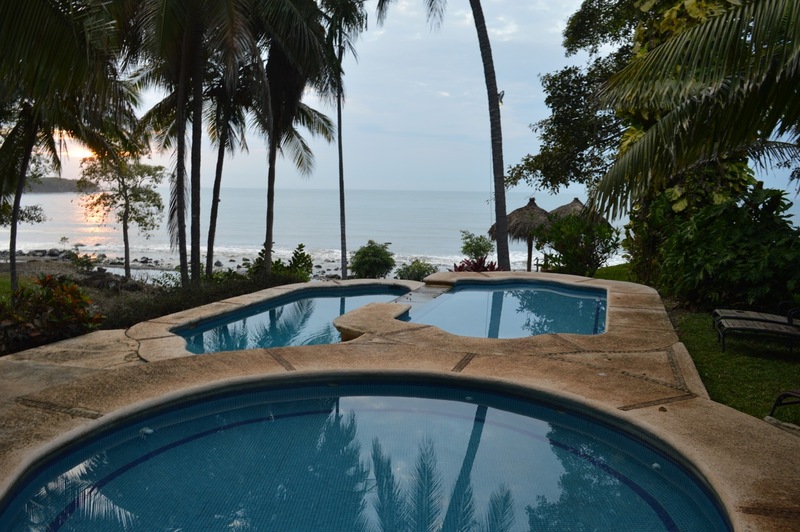 The coast between Mazatlán and Puerto Vallarta is exceptional with numerous great places to camp. If you are planning a road trip to Mexico this area contains some of the most beautiful beaches we have encountered on our trip. We had a less relaxing experience driving to our next destination (San Blas) as we ended up on our first and unfortunately not last Mexican toll road. While the toll roads are very nice and well maintained they are extremely expensive (you end up spending more on tolls than gas), and once you are on one it is difficult to get off. We finally managed to escape the toll road with approximately 400 pesos (~$20 usd) worth of tolls paid after about 1 hour spent on the road. We made a pact to avoid toll roads for the remainder of our mainland Mexico trip, while they are faster you often miss going through the towns and largely only see highways. The main upside to toll roads is the absence of topes (speed bumps), the slower non-toll roads have many often unmarked topes. We caught a little air on a few but Toby was no worse for wear! After our first toll/non-toll road adventure we arrived in San Blas and camped at Stoners Surf Camp. Unfortunately, it was off season, the surf was not happening, and the sand flies were absolutely vicious. 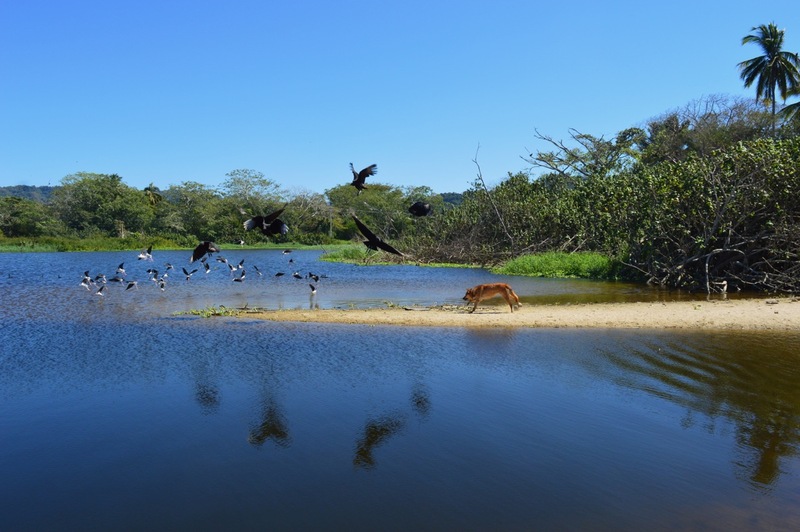 We had read previous reviews of traveler’s who had trouble with the sand flies in San Blas but we decided to check it out anyway. This was a mistake…. Brenna reacted terribly to the sand fly bites and looked like she had a terrible case of chicken pox for the next week. We were initially planning on spending more time in San Blas but we could not handle the bugs so we left after one itchy night. Exploring San Blas’ town center. After San Blas we continued driving down the coast and had our first run in with a corrupt police officer. We had read that an area of the coastal road we would be passing through was marked as a hotspot for less than legitimate police action (thanks iOverlander!). Numerous people had posted online that they had received undeserved speeding tickets and been harassed by the police in this area. Sure enough, when we were passing through a police officer spotted us and waved us over. We had been driving very cautiously in anticipation of this and knew we had been going less than the speed limit. The officer initially tried to see if we actually knew what the speed limit was, and when we informed him that we knew we had been going under the legal limit he seemed to back off from any speeding claims. He then took all of our documentation (a laminated photocopy of our driver’s license – highly recommended, temporary vehicle import permit, and vehicle registration) and retreated to his vehicle. We waited until his partner (who appeared to be calling the shots) returned our documents and sent us on our way. We had lots of time and knew we did nothing wrong, so I think they realized fairly quickly we wouldn’t be giving them any money. Overall this was a good introduction to dealing with situations where police officers are seeking bribes/giving undeserved tickets as they were not as aggressive as we have heard they can be. In Mexico you should never pay a police officer who has pulled you over on the road, always ask to go pay your ticket and any fines at the police station. Paying bribes on the side of the road is what is creating the problem in the first place! Our next stop was at the beautiful Hotel Paraiso Miramar. We happened along this hotel on the coast and we were the only camping guests. Finding hotels/hostels that also allow camping is great as we can take advantage of extra amenities like pools, wifi etc. Hotel Paraiso Miramar had a great pool and a nice informal greeting dog (not a stray, but did not belong to the hotel). The dog became one of Roo’s best friends immediately and spent the next two days with us (sleeping under the truck and following us everywhere). This was possible one of the chubbiest dogs in Mexico (obviously being an informal greeting dog paid very well in food). After spending two days with us the dog decided to return to its home. Roo decided to follow and somehow ended up outside the hotel fence. All the gates were locked at this point so Mitchell had to hold up a section of fence that Roo could crawl under as she was desperate to return to her truck (and people). We keep telling her don’t leave with strays (strangers)! Poolside at Hotel Paraiso Miramar. After a few days at Miramar we continued on to the town of Chacala where we camped with several other overlander’s in a fenced off field in the middle of town. This was one of our most heavily guarded campsites with a constant, large, security presence that felt unnecessary in the middle of town. We concluded that this area had the nicest security shack in the area and therefore was the hangout point for most of the town’s security and police. The beach at Chacala was (as anticipated) amazing and we did some serious bodysurfing. The only challenge with this camp spot was the lack of bathrooms. The bathroom at the campsite cost 10 pesos per use and closed at 7 pm (or whenever it got close to getting dark). This revealed Brenna’s fear of lack of bathrooms overnight in a populated place (the wild is fine, but in town it’s harder to stealth night pee if needed!). Our next stop was at the surf town of San Francisco (aka San Pedro). This was the start of the extremely touristy area on the coast. We stayed at a hostel/camp spot on the edge of town and had to walk out a significant distance to the main beach area. Some construction was happening at the hostel and Roo decided that she would like to participate. She found the tub of lard that the workers used on their hands and determined that it would constitute a tasty snack. We were initially concerned after catching her in the act of finishing off the final scraps of lard but she has obviously been in Mexico/ on the road long enough to be able handle a varied diet as she experienced no ill effects from the experience besides a scolding from her parents. Our next stop on the coast was the town of Sayulita which probably would have been the best surf town we would have visited on this trip ten years ago. Unfortunately, due to its proximity to Puerto Vallarta tourism had come in full force to Sayulita and the town had not yet caught up. There is a significant septic problem in this town (likely not dangerous, just smelly) as the towns septic system was not intended to handle the amounts of sewage generated by the huge quantity of tourists. The sewage runs directly into the ocean and partially ruins one of the best beginner surf breaks we have found on the trip. Another unfortunate experience from our surfing in Sayulita was Brenna kicking a sea urchin. Yes, kicked. This resulted in a truck “surgery” where Mitchell scrubbed up and removed the spines from Brenna’s foot. It was a true next level relationship bonding experience. From Sayulita we drove to La Cruz and midway between these towns we found the best car wash in Mexico. Outside of a small town called Higuera Blanca is a small car wash run by a pair of magicians who closely guard the secret to removing dog fur from vehicle upholstery. Unfortunately, Roo took offense to the removal of her fur collection and responded by stepping up her shedding cycle restoring Toby the truck to its original “furry” state in record time. Upon arrival in La Cruz we both came down with what we now believe to be norovirus (numerous warnings were posted in Sayulita regarding the virus). This was a terrible experience which we were fortunate enough to endure at one of our best camp spots on the trip so far. We still have nightmares about having this happen at a spot similar to the camp spot we stayed at Chacala (without toilets). We stayed almost two weeks at this hotel/campsite in La Cruz and after having recovered, we were visited by Mitchell’s mom who flew into Puerto Vallarta on short notice to see her granddog and us! Roo was sufficiently spoiled during this visit and abandoned her parents in the truck to sleep in the hotel with her grandma. Our campsite in La Cruz. 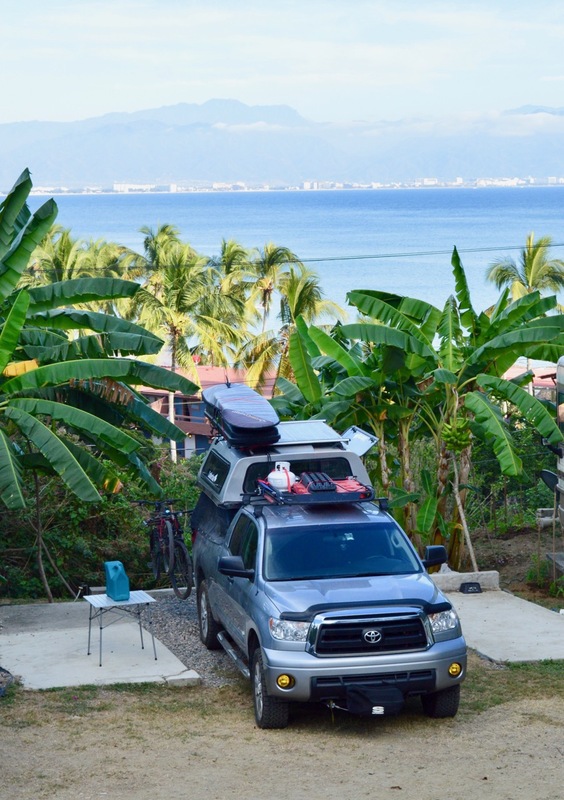 During our stay in La Cruz we developed a leak in one of our tires that has been a major pain to resolve. After an initial repair in Bucerías the tire has continued to slowly leak. Despite visiting multiple tire shops, no one has been able to find the slow leak. We have taken to refilling this tire approximately once a week with our onboard air system as this is easier than visiting multiple tire shops only to be told each time that the tire is not leaking after it is removed from the vehicle. Eventually, we’ll need to have someone take it off the rim and investigate further, but for now every place we have visited is adamant that there is no leak. 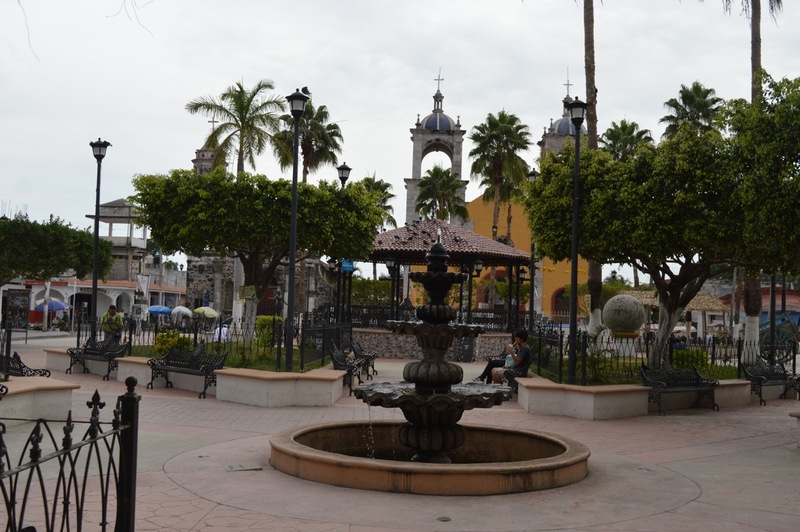 The adventure continues as we move away from the coast to Guadalajara! Stay tuned for our next post.